View of the ruins of the town of Remenauville, France. 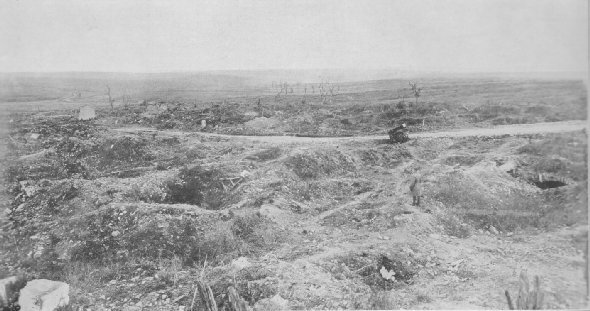 To the left, one may see the old lines of the Germans and on the right the American lines, established later. Shell craters every few yards, square mile after square mile. 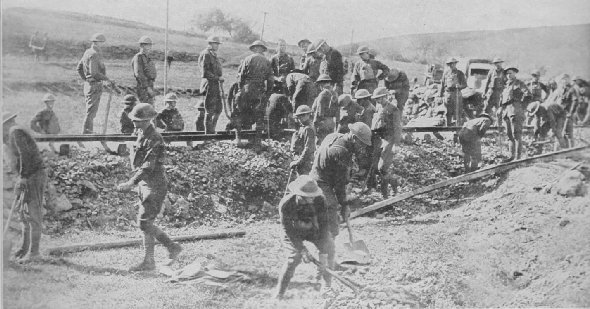 Members of the 2nd Engineers, 2nd Division, repairing railway tracks at Bouillonville, France. These tracks, a short time before, had been torn out by American shells. The roar of the artillery now told the engineers the "situation".